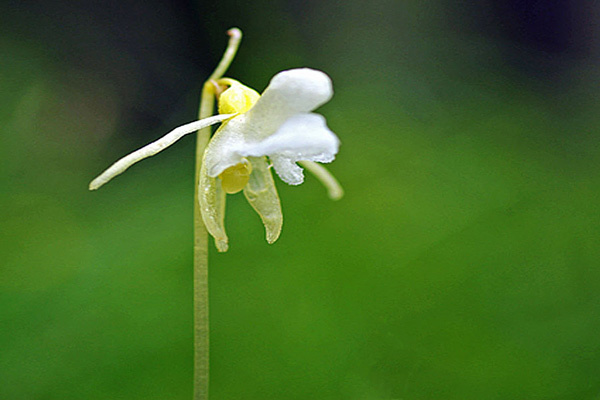 The slender plant has a height of 5 to 30 cm. Leaves are reduced to small sheaths that fit snugly around the stem. The plant lacks chlorophyll and has a pale appearance. The underground rhizome are persistent for a long time, but they do not produce stems every year. 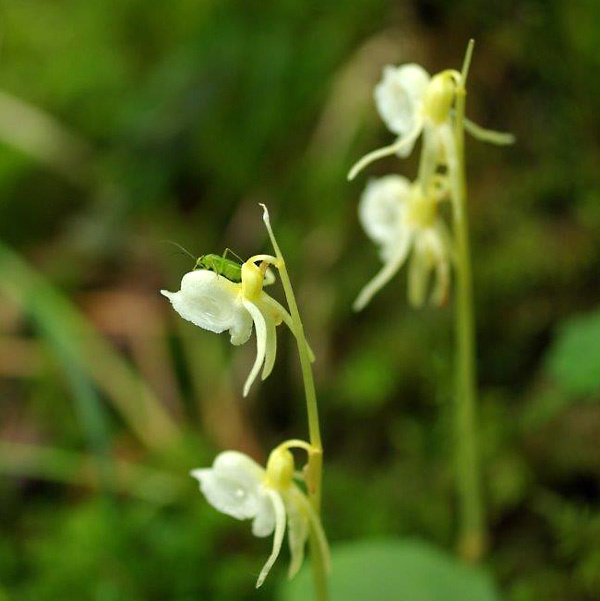 The flowers are pollinated by various bumblebees and other insects, but seed is very rarely produced. The loose inflorescence carries 1 to 5 flowers. Sepals and lateral petals are bent downwards, the non-resupinated lip is three-lobed. A striking feature is the broad spur formed like a sack. The plant was first described by The German scientist Johann Georg Gmelin (1709-1755) and validly published by Moritz Balthasar Borkhausen (1760-1806) in his opus Tentamen dispositionis plantarum Germaniae seminiferarum secundum novum methodum a staminum situ et proportione (1792). The flowers are pale, white to yellowish, with purple or rose patterns at the middle lobe of the lip. Rarely they are lacking, thus the flower is appearing white. 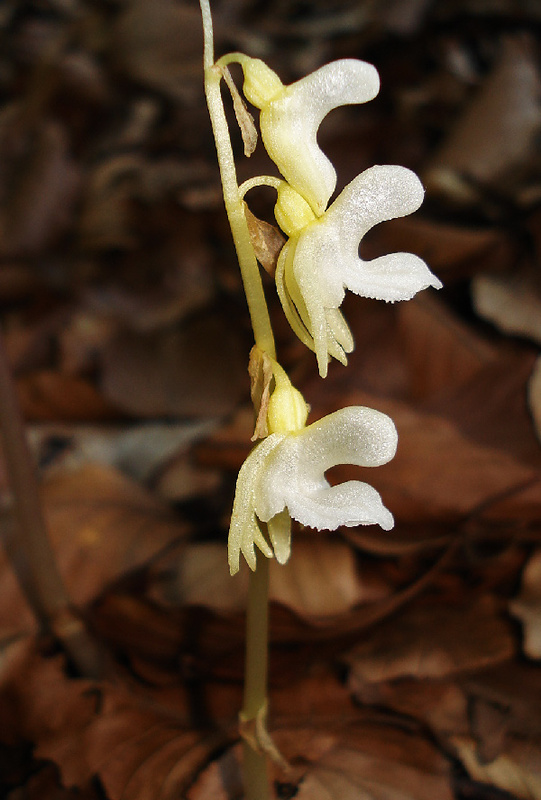 Epipogium aphyllum can be found in beech or more rarely in oak woodlands in deep leaf-litter areas. Its range extends from north and central Europe south to the Pyrenees, the north of Greece and Crimea. Flowering period is from mid July to end of August.